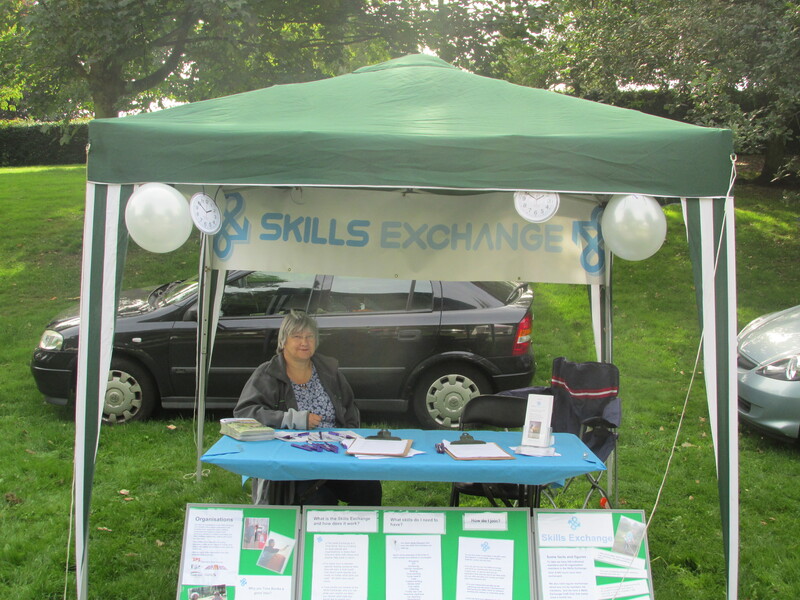 Skills Exchange is free to all those who live, work or volunteer in the NG7 part of Nottingham. This roughly includes Hyson Green, Radford, Forest Fields, New Basford, Sherwood Rise, Arboretum, Lenton Triangle and the Park.It does what it says on the tin. It is a chance for people in the community to swap skills with each other. Skills Exchange is a Time Bank.The principle behind Time Banking is very simple, for every hour that you help someone else you will receive one time credit, you can then go on to swap these time credits when you want something doing for you. One hour’s work equals one time credit no matter what skills are used. All skills have equal value. Shopping, gardening, computer skills, hairdressing, sewing, guitar lessons, help with Carnival costumes, leafletting, catering, simple DIY, Organic gardening mentoring, Indian Head Massage, facial, envelope stuffing, Reiki. It’s easy to join the Skills Exchange, simply contact us and we will send you an application pack. Or download the PDF versions of the Membership Application Form and Cartoon Skills Sheet in the Contact us bit of this blog.We will ask you to say what skills you can offer and what help you might need and, for your reassurance, we ask every member to give us two referees. If you want to help with children or vulnerable adults we will also ask you to fill in a DBS (Police check) form. As soon as you are registered you can start to build up your time credits. We will contact you if someone needs your help and you contact us if you need something doing for you. You can say no to an exchange if it isn’t convenient. Organisations can also join the Skills Exchange. Matthew on Rob’s a winner!